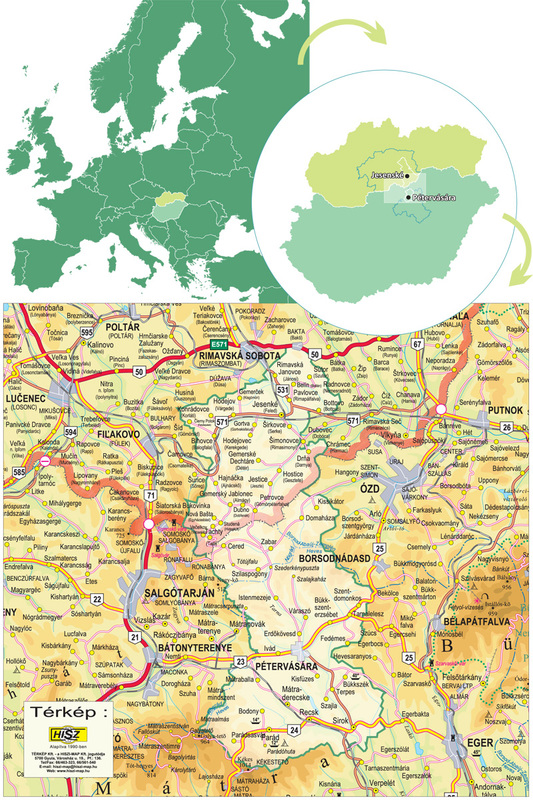 The aim of our project is to increase competitiveness of the economy on both sides of the border - in the south district of Banska Bystrica and in the northern part of the county Heves - which municipality Jesenské and the association of Pétervásárai Kistérség Többcélú Társulása plan to achieve by promoting cooperation between entrepreneurship. In order of total coverage along the border the Nógrád and Borsod-Abaúj-Zemplén county self-government, needs to be involved in the project along with entrepreneurs from this region. We managed to engage three municipalities of the county Nógradskej (Cered, Szilaspogony, Zabar) and two municipalities of Borsod-Abaúj-Zemplénskej County, which also signed a cooperation agreement. Our Slovak and Hungarian database includes the presentation of companies and individual entrepreneurs operating in our target region, on both sides of the border. For an easier navigation, the companies are divided into several categories, according to their field of profession: tourism, transport, construction services, food, agriculture, other services, light industry, engineering production, retail. You can find the list of these compenies on the navigation bar above.